Karen Brady Hammontree found her inspiration in a long line of bear designs. She pulls her ideas from her own collection of vintage bear’s, old toys, dolls, fabrics and vintage postcards. 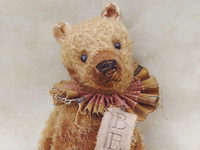 Hammontree loves the aged and worn bears because they tell a story, each has been someplace different, been played with and well loved. 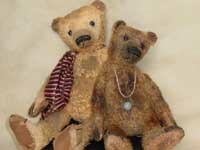 These bears have held their own in the face of childhood destruction, time and possibly the elements. 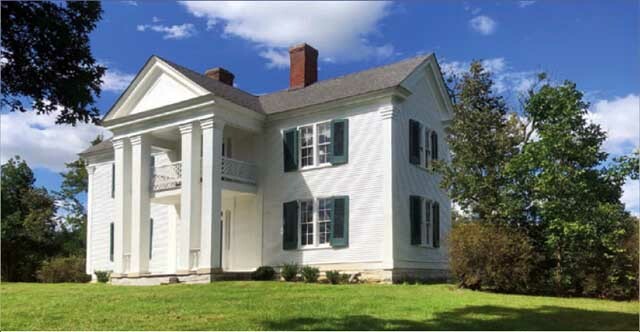 They have made their way into collector homes, started a new life and inspired an entirely new generation. 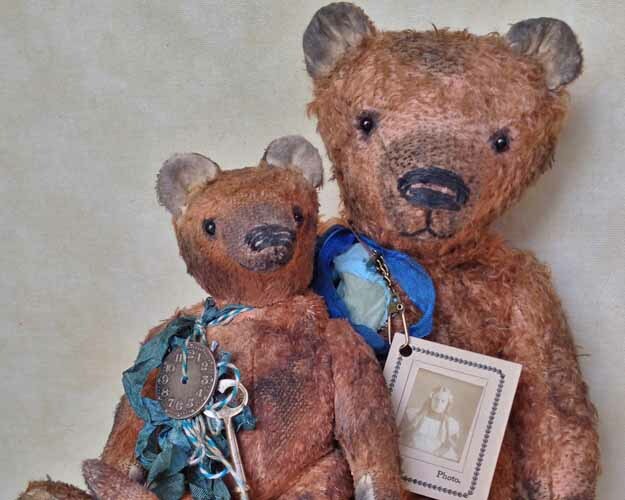 When making a bear, Hammontree wants them to really look and feel old, and have the ability to blend with real or reproduction antiques and collectibles. 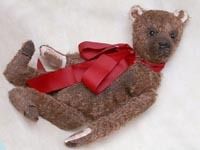 To achieve a time worn classic look in her bears, Hammontree creates her own patterns, and uses traditional German and English mohair. The paw’s and ears are wool felt, vintage or vintage style cotton fabrics. Old shoe buttons are used for eyes, or new hand blown German glass eyes with a pupil. She uses Perle cotton thread for the nose and mouth, then natural elements such as tea, coffee, dyes and paint to stain and age the mohair. The mohair is then distressed by plucking, and scissor or razor cutting. 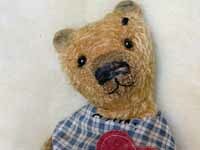 The bears are dressed by using vintage or vintage style fabrics that Hammontree collects. 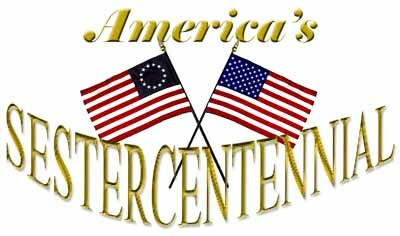 Antique elements such as old keys, toys, photos, rusty bells, etc. are also put with the bears. 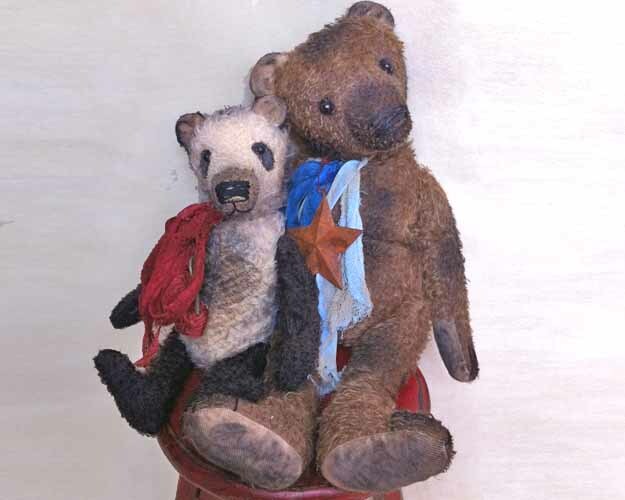 Companions, such as dolls, clowns or bunnies are also made for some of the bears. These are made out of canvas fabrics then painted. 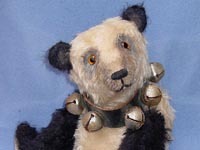 The bears are stuffed with wood excelsior and gravel pellets for weight. Each bear needs to feel good when they are picked up, and look old when they are sitting. In addition to being a Teddy bear artist, Hammontree is a stay-at-home mom with a wonderful supportive husband and two little girls. They live in a 1930s cottage-style home and have three dogs, a goldfish and a trio of hermit crabs. Hammontree’s pieces are all one-of-a-kind. She sells exclusively on eBay, from her website, or on the To Dwell in Primitive Thymes mercantile website. Her work has been featured several times in Teddy Bear and Friends and Teddy Bear Review in the U.S. as well as in Teddy Bear Times and Teddy Bear Scene in the United Kingdom.